The tabs I cut off the curtains I finished up last Saturday just keep on giving!! 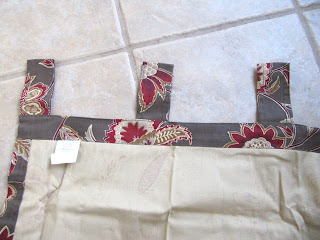 Click HERE to see that curtain post where I made the tabs into napkin rings. I didn't need the tabs, because I use the ring and clips. Just sew the ends together with a 1/4 inch seam and iron seams flat. Fold over one end to a point and sew across. 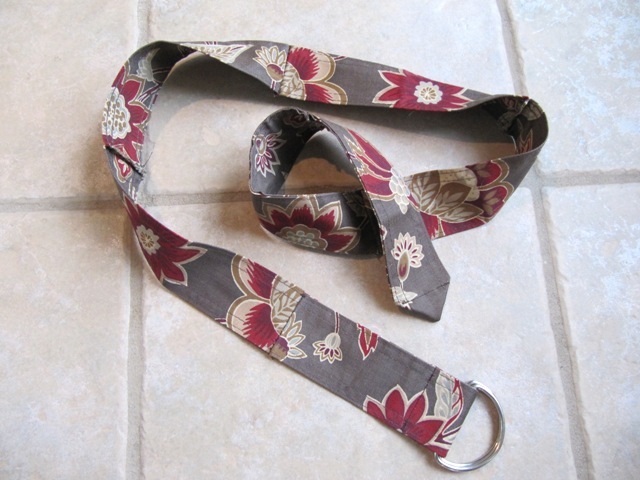 For the other end, add 2 "D" rings, fold raw edge under and the sew across. 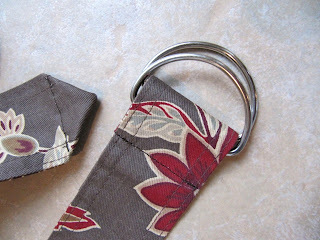 I also have key rings going too and my brain is still ticking for more ideas. Karen, I'm so impressed with your creativity! 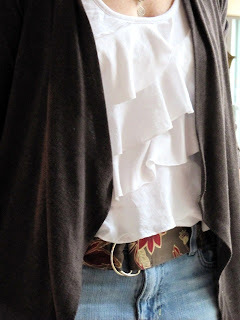 This is a fab idea! Wow! You had lots of left over tabs. Oh how cute! 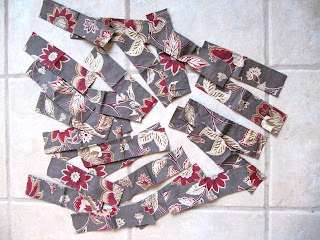 I don't have any curtain tabs, but I have a lot of fun fabric scraps that I bet would work. Great idea, thank you!